Training the Gaited Horse: From the Trail to the Rail. The book covers a broad range of training guidance in 29 chapters and includes a detailed look at the gaits of the Tennessee Walking Horse, Missouri Fox Trotter, and the Rocky Mountain Horse (or other mountain breeds). The book teaches you a training program that is simple to follow,starting with a flat-footed.walk. The goal is to achieve a smooth,easy-going gait in your horse, to a sound standard that matches its ability. Enjoy the journey, be safe, and have fun. 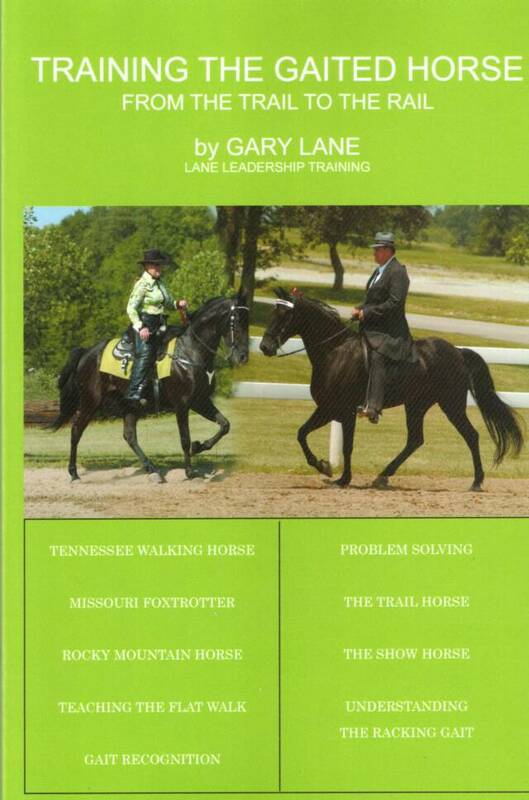 Gary has produced a much needed guide to understanding the importance of the flatfoot walk for the Tennessee Walking Horse, Missouri Fox Trotter, and Rocky Mountain Horse. This DVD gives expert comments on understanding the middle gaits, and shows the flatfoot walk as the foundation gait for a smooth easy trail riding horse, for the trail or the rail. Gary along with Anita Howe give expert advice and training tips for working with the natural abilities with your gaited horse to connect to the easy smooth gait that's bred into him. Using many minutes of split-screen comparisons to show both differences and similarities between horses and in comparing modern bred gaited horses to old time foundation standards. This DVD will help to train your eye for recognizing movement from the ground and also aid to improving your feel from the saddle. This DVD is a must for owners, trainers, and clinicians who want to teach and train for a fundamental natural four-beat gait no matter what the breed. 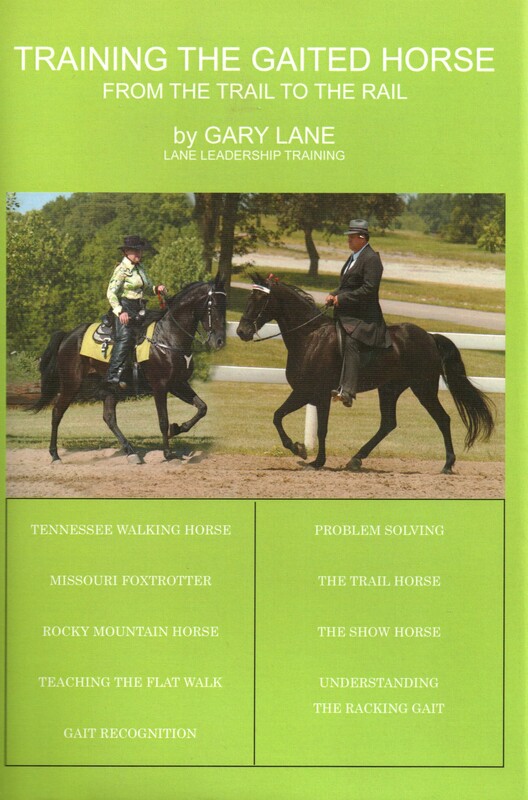 When riding a Tennessee Walking Horse, Missouri Fox Trotter, or Rocky Mountain Horse this DVD will help you find the smooth easy flat foot waking gait to enjoy both on the trail or rail. 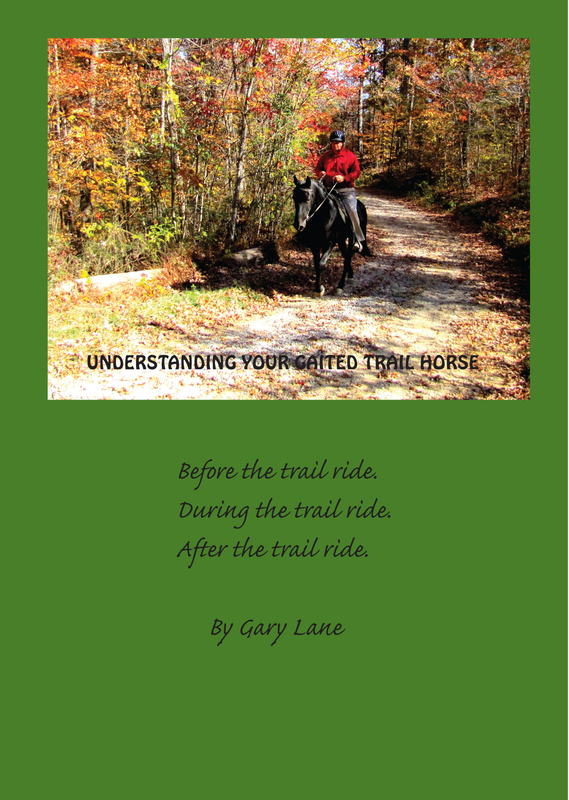 Understanding The Gaited Trail Horse is a must see DVD. Gary will share with you his training methods for the Tennessee Walking Horse, Missouri Fox Trotters, Rocky Mountain Horses, and other middle gaited horses, using a man made obstacle course and natural trail obstacles in the Daniel Boone National Forest. 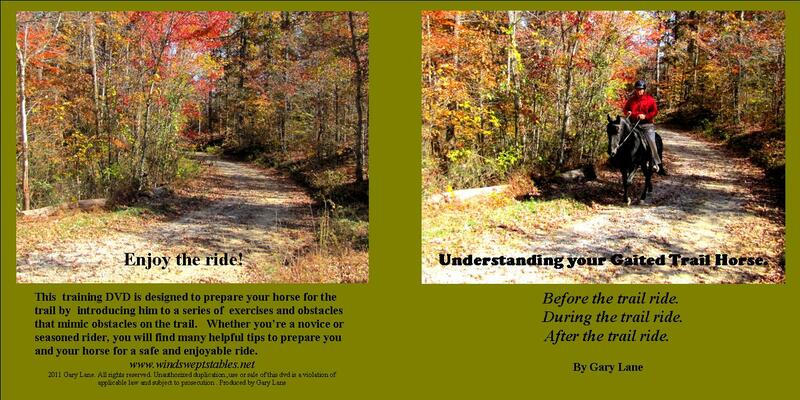 The DVD showcases several horses learning to find a calm mind before, during and after your trail rides. Gary will show you his method to teach the young gaited horse to be your successful trail companion. Gary will demonstrate his training tips on how to cure the pace, hollow back horse, bitting, saddle fit, and riding for easy gaiting. Master gaited horse clinician and best-selling author, Gary Lane, has just released his newest DVD, Introduction to Gaited Horse Dressage, to provide dressage education for all gaited horse enthusiasts. The in-depth DVD focuses upon information that will keep horses gaiting soundly and comfortably into their teens and twenties. From the trail ride to the show ring, Gary presents information on how dressage for gaited horses is beneficial to all types of riding. Finding purity of gait, bitting, equine dentistry, correct saddle fit, and proper shoeing are discussed as are pointers on developing the top line of the gaited horse. In the video, Gary rides through a practice dressage lesson giving viewers unfamiliar with dressage a taste of the training exercises valuable to the gaited horse. 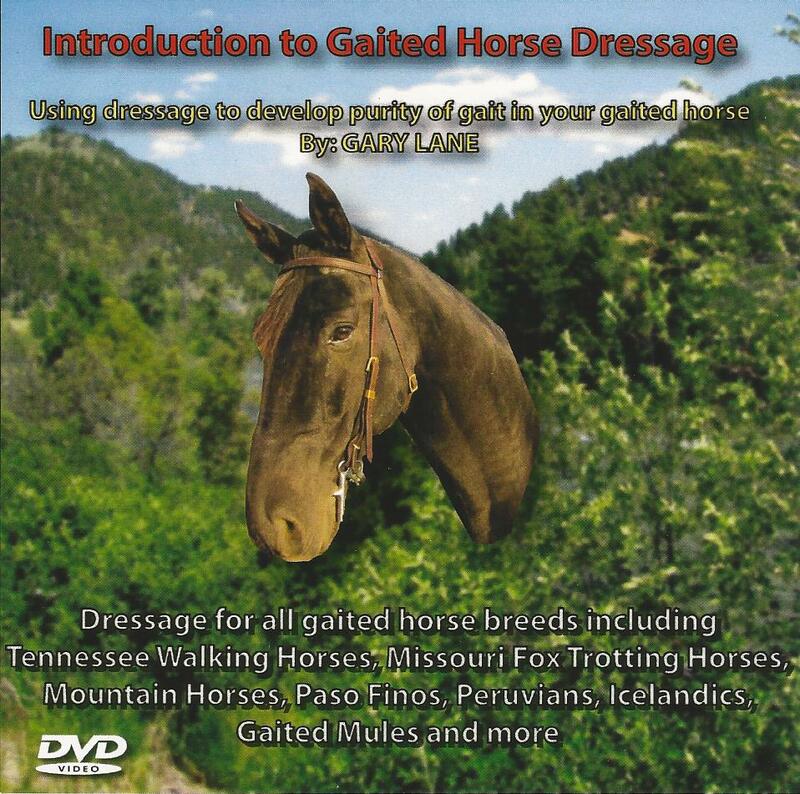 Gary created the DVD because his many years of dressage experience have proven to be highly beneficial in developing smooth and comfortable gaits for all ages and breeds of gaited horses including Tennessee Walking Horses, Mountain Horses, Missouri Fox Trotting Horses, Paso Finos, Peruvians, Icelandics, Gaited Mules and many more. 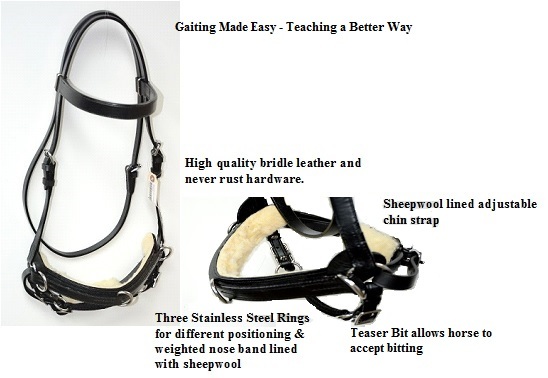 Longeing halter made exclusively by National Bridle.